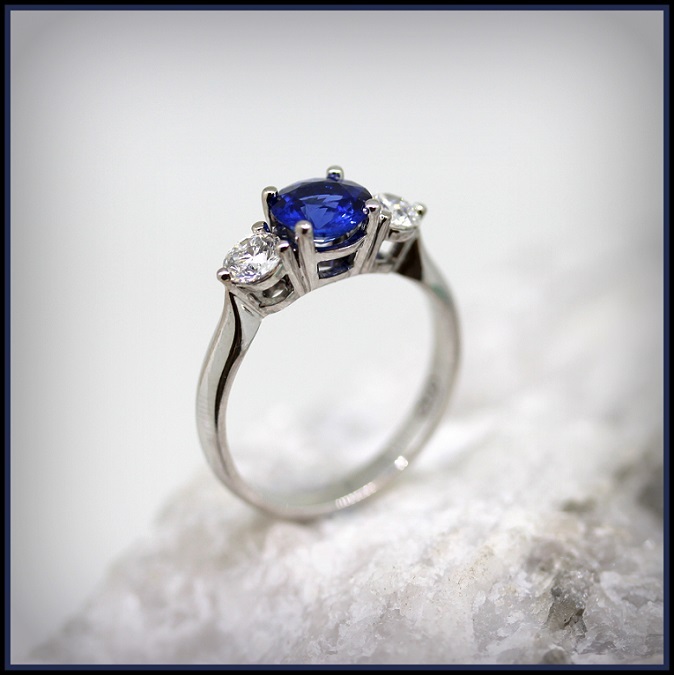 Sapphire for Love! / Torres Jewel Co.
LOVE this Round Cut Royal Blue Ceylon Sapphire with Two Premium Round Brilliant Cut Claw set Diamonds on the shoulders in 18ct White Gold. Congratulations Eddie it was a pleasure serving you with this beautiful creation.